Actress Nayantara has been hitting headlines for more reasons now. Earlier, it used to be her romantic link ups and gradually with her career graph shooting up higher now. The actress was recently reported of having entered wedlock with Vignesh Shivan. But sooner, things were proved to be fake news and baseless rumours. Off the late, there were some stories pertaining to Nayantara gifting Vignesh Sivan a luxurious car as her token of love. It all happened during the shoot of ‘Naanum Rowdythaan’ that stars Vijay Sethupathi in lead role and the film, which is produced by Dhanush under the banner of Wunderbar Films. 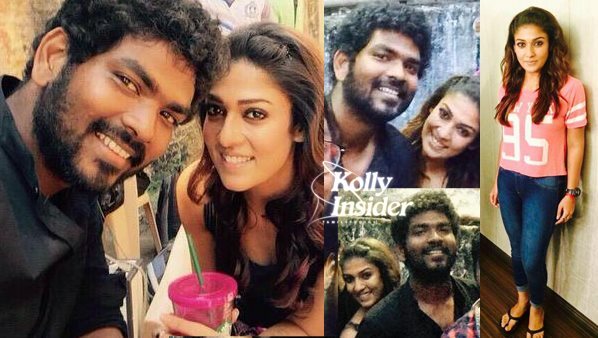 Recently, during the wrap up party of ‘Naanum Rowdythaan’, Nayantara was seen hugging Vignesh Shivan, which indeed has propelled more buzzes on their relationship status. Although, both of them have been denying this to be something completely untruth, the crew members have affirmed that they are in love. Naanum Rowdythaan has musical score by Anirudh and the details about the audio launch would be made shortly.